When I first visited London, in the summer of 1991, I was struck by the unfamiliar spectacle of boarded-up shops, and of shops that had been hollowed out and were now occupied by temporary stalls selling imported clothing or knick-knacks. This wasn’t a sight I had experienced in Italy or the southern European countries I had visited – at least not on the main shopping streets of a capital, alongside still-thriving businesses. Either Britain’s crisis was deeper, or ours was yet to reach the street and alter quite so visibly the texture of our cities. Whatever the reasons behind it, the vacant shop is a disquieting signifier. In a global economy that has run for at least three decades on the dissimulation of risk and debt, it stands as the all-too-concrete manifestation of a rupture. Where there was once commerce – therefore, by association, a functioning economy – there is now an unsightly hole. But that, too, can be dissembled. 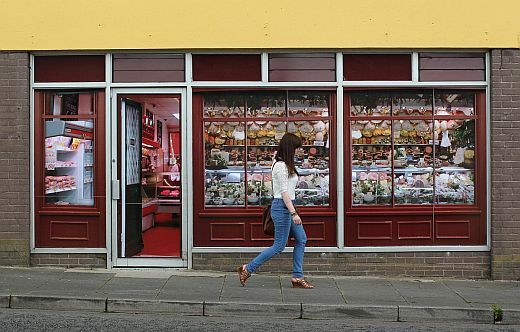 This is the former butcher’s shop in Belcoo, Northern Ireland, brought back to a life of sorts via the application of posters and stickers – a literal papering-over – just in time for the G8 meeting that was held this week at a nearby golf resort. The funds for this and other similar interventions in the economically-depressed area came from an aptly named ‘Dereliction Fund’, in the amount of approximately £1 million. The money was spent to promote the county ‘in terms of its industry and tourism’, although presumably only amongst people who are driving quite fast, not needing to buy sausages, and never planning to come back. Belcoo’s fake shops are not unprecedented – it seems that the earliest example of this particular kind of urban revisionism dates back to the 1980s in New York – but that they were fashioned to hide the economic downturn from the circus of the G8 creates an extra frisson, a surplus of poignancy. And so those few images duly did the rounds, predictably, via the same electronic routes that map globalisation itself. The butcher. An office supplies shop. A lively café. All lovingly recreated as if to exorcise austerity and wind back the clock to the eve of our latest great crisis. The best fake shops feature not only fake goods but also fake people. Walking in front of them must be like taking a tour inside Bob Shaw’s brilliant science-fiction story The Light of Other Days, about the properties of a special ‘slow glass’ that allows one to see back in time, looking into scenes that were recorded, impressed upon it in the past. Except these are static, lacking in depth. Try to picture the experience: strolling down a street in your depressed neighbourhood, where in more prosperous times a restaurant used to be, and being confronted with its two-dimensional replica. Knowing that money was invested not to stimulate the economy of your town, but to simulate it. You might feel that you are also a character in this performance. The economy as spectacle. Trompe-l’œil capitalism. 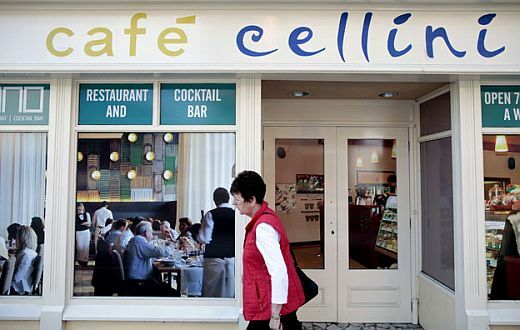 Café Cellini ironically boasts to be ‘open 7 days a week’, and it might as well: its deadened façade will always be stuck in a perpetual daytime, the customers inside always poised to drink from their wine glasses, at least for as long as it takes the elements to fade and wear out the pictures. Then the local council will have to make a decision: whether to invest more money into its fake economy, or to let the fake shops decay as well. Barring the area hosting another G8 meeting, the choice will probably fall on the latter. How much stranger will those shops look then. Like ghosts of ghosts. As I said, this urban revisionism isn’t new and extends to other well-known practices such as the hiding of homeless people ahead of major international events, or just generally, in order to produce the illusion of widespread and enduring prosperity upon which capitalism-as-belief depends. This is capitalism again concealing its commercial failures, its financial risks, its social debt. Nonetheless the fake shop is not just the manifestation of an absence. 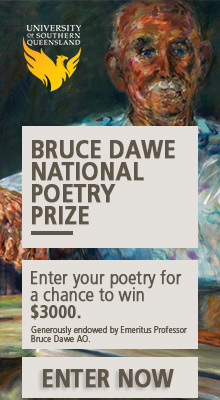 It’s also a simulacrum that asks to be looked at and interpreted. Each fake shop is a carefully crafted museum piece. It expresses the longing and nostalgia for a particular stage of capitalism and for its underlying social relations. But this is a past that is not returning any time soon. And the future may look closer to this. 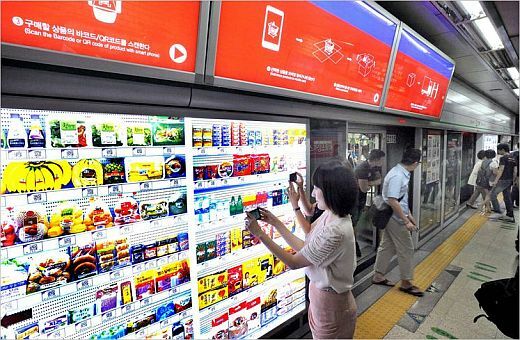 The pilot Tesco Home Plus virtual store in a subway station in Seoul, South Korea: reminiscent of Bucharest’s painted library, this electronic store cycles through its displays, allowing customers to make purchases via smartphone for home delivery. It’s a singular twist in the drawn-out story of the decline of brick-and-mortar retail, which has recently seen Sears department stores converted into data centres for cloud computing. The object of nostalgic reproduction here are no longer the family-owned corner shops, but rather the large supermarkets and malls that took their place. 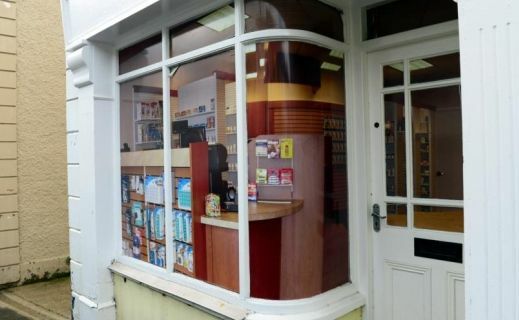 The electronic virtual store is online retail crossing back into the physical world, plastering itself onto the old, vacant shop windows (and re-metaphorising the word ‘window’ in the process). Why bother to create a fake shop, when the front of any building could be converted into a digital screen, opening up limitless opportunities for instant consumption? Viewed against this possible future, the quaint capitalist nostalgia of the fake shops of Belcoo seems entirely harmless, an exercise in keeping up the most incongruous and misguided of appearances. Except I think they also need to convince the world they’re not enforcing austerity with repression by organising some cardboard cut outs of protesters and a Bono concert. What a fabulous idea. Perfect for a once-thriving shopping strip in Sydney’s Paddington – now a sad sight with enormous ‘For Lease’ signs dominating. I’m going to suggest it to the local council. Coming soon: carboard schools and hospitals. Changing times, changing facades. Fremantle, for example, has still the facades of Empire, as monuments to imperialism and colonialism, behind which exist(ed) empty shells, many of which are becoming increasingly boarded up, awaiting your cut-out figures, perhaps. Another variation of the digital bookshop from a previous post? Excellent piece, Giovanni. In Dubai, in the immediate aftermath of GFC, they had posters of open shops on the boards in front of of abandoned shops. An interesting oversignification/Master Signifier aimed at occluding the collapse of the signified. And it’s our parliamentary system a cardboard democracy, anyway? Thanks for this. I can think of a couple of examples from Milan as well, during renovations in the city centre, although they typically involved harking back to earlier periods of patrician splendour. There can be no nostalgia without memory and loss, obviously, and I can imagine some young people seeing the cardboard cut-outs and feeling nothing, perhaps wondering why they’re not touch screen, so oblivious to the real poverty the cardboard is masking. All of which makes me wonder whether we’re at the start of the end, or at the beginning of a new metaphysics of the movements of capital? Jameson would disagree, and so do I. We’re all retronauts now, and do little else but consume a past of which we have no memory, and for which we can feel no loss. Then nostalgia is not a correct term, making words cardboard too. Well, yes and no. When the past is packaged as nostalgia, then it’s what it is. Isn’t this a case of etymological fallacy? The output of industrial processes gets packaged as food and sold as food, which people buy and eat. Hence it’s food. There is no special quality of the word nostalgia that says the sentiment has been genuine and based on actual lived experience. And if induced nostalgia didn’t work, our cinemas for one thing would be empty. I guess I was thinking of food along a life building (food) – life destroying (not food) modal continuum. I was thinking too of nostalgia in terms of its etymylogical root (nostos). The modal continuum this time being heimlich (which perhaps covers remembrance of actual lived experience) – unheimlich (the unheimlich thing about the unheimlich being that absolutely anything can be unheimlich, as you have demonstrated in this post which, regardless of the petty quibbling, I regard highly). How strange that capitalism should expropriate the concept of the Potemkin Village ! So, is that a real dog in the first image? If so, he is either a great actor, or they are pumping out smells to make the effect more convincing. I find all this quite horrifying, and an insult to the people who live in these areas. Quite different from reading about it from the other side of the world, and finding it somehow amusing.